Efficiency NS is offering a Solar PV rebate of as much as $1/watt for residential customers, both grid-tied and off-grid. 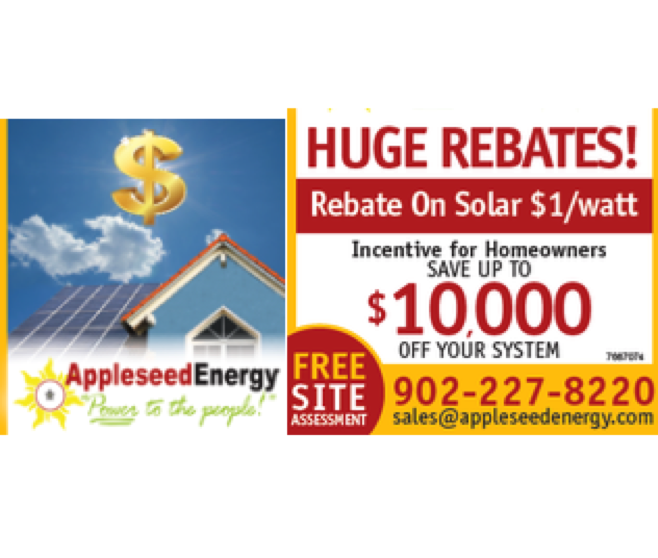 Appleseed Energy offers free site assessments so call us today at 902-227-8220 to take advantage of this exciting offer. We’ve installed hundreds of solar systems both grid-tied and off-grid … with years of experience and satisfied customers, we are your preferred installer, so don’t miss out on this great opportunity.